BRYAN EATON/Staff photo. 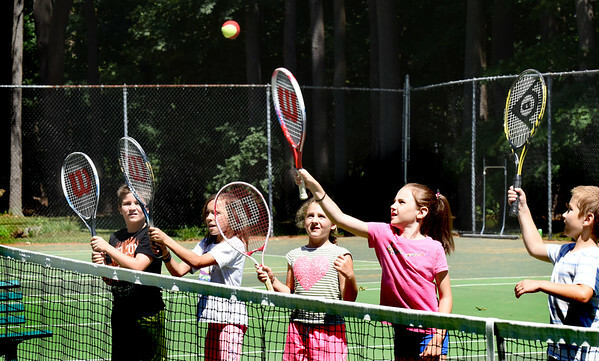 Youngsters are taking tennis lessons this week at Atkinson Common through the Newburyport Youth Services summer programs. Here counselor Ann DeKanter lobs balls at them and if they miss, they have to go to the end of the line and work their way back up again as they learn some basics.